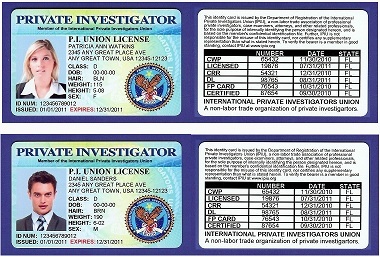 PI UNION LICENSE (Private Investigator Photo Credentials), which includes an authorization for screening and the completion of your criminal records registration application. This $349.99 Package (or 4 payments of $99.99 - which includes a $49.97 Set-up fee) is for the first year only. Next year when your renewal for this package comes due, it can DROP to a single annual payment of only $99.99 for the entire second year if you use the 3 month early-bird renewal! 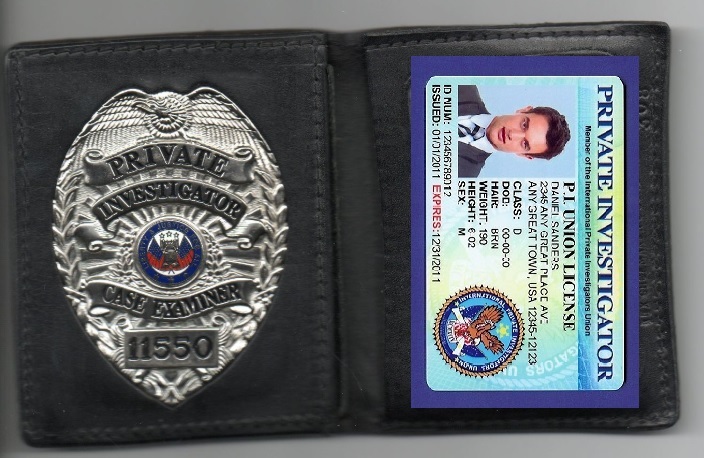 ADDITIONAL TERMS, CONDITIONS, and BENEFITS: Some membership benefits, such as third party fulfillments, may be delayed until the account is paid in full. Late payments are subject to an additional 20% of the payment due to reinstate the payment plan in good standing.